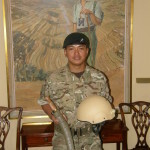 Following his investiture at Buckingham Palace earlier in the year, LCpl Tuljung Gurung MC visited the Gurkha Museum in Winchester on 5 June to present to the Museum his combat helmet and kukri. The helmet shows the damage sustained when a round fired at him by a Taliban insurgent, hit the front of his helmet and exited at the rear. 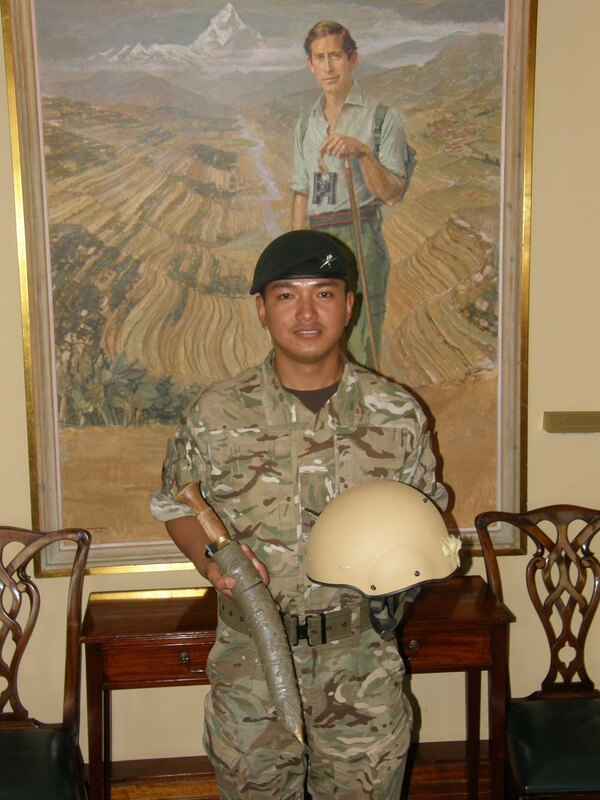 Having recovered from that and the blast of a grenade, LCpl Tuljung used the kukri to fight off two insurgents who attacked him, an action for which he was awarded the Military Cross. The helmet and kukri will form an important part of the Museum’s new displays planned to show operations in Afghanistan and Op Herrick.